Free Improvised Music. 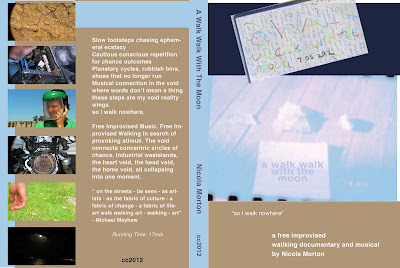 Free Improvised Walking in search of provoking stimuli. The void connects concentric circles of chance. Architectural voids in undustrial wastelands, the heart void, the head void, the home void, all collapsing into one moment.